When the challenges of mankind’s flourishing are measured by the limitations of physical strength/speed/endurance, technology is the answer. Always. 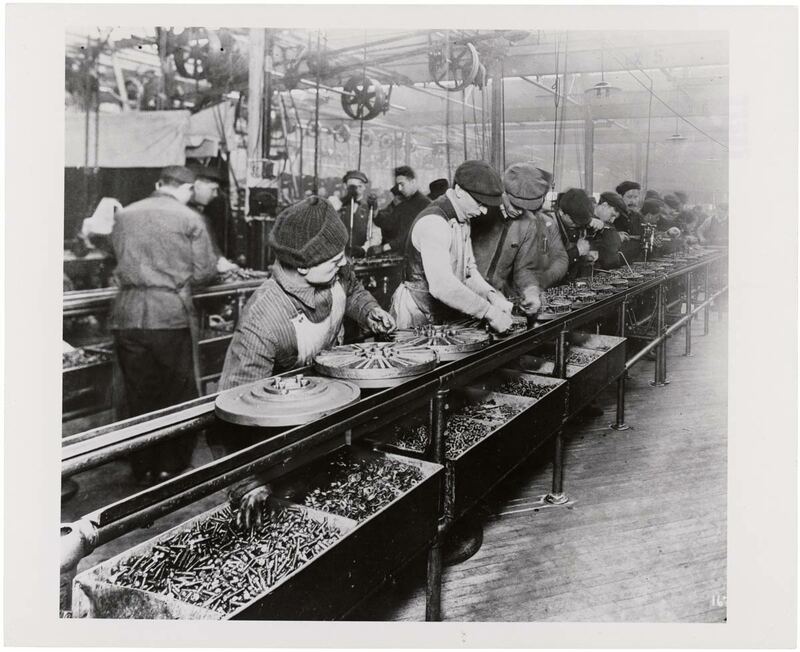 The assembly line itself was a technological advancement that was a massive force multiplier, turning normal human physical inputs into extraordinary feats of output. But, when strength/speed/endurance are the main assets, it isn’t long before a new technology will come along to replace the human physical input on the front end. But, as the engine of human flourishing has begun its transition from burning tendon and muscle fuel to the higher octane fare of brain fuel — knowledge, creativity, problem solving, analysis — what was once novel and groundbreaking is now quaint and tired (at best) … or devastatingly obsolete (at worst). Even so, old habits die hard; inertia is tough to stop; conventional wisdom is hard to set aside. Can you spot the fungible cogs in this photo? There is nothing written in the fabric of the universe that dictates this experience of modern work. It can be different, but not before two things happen. I don’t think the order matters. Individuals begin demanding more of themselves — no longer being satisfied to show up, plug in, turn the wheel, and get the paycheck pellet afterwards. (Seth Godin discusses this at length in his book Linchpin).